The NFL is replacing its Game Rewind streaming service with something that's much more TV-friendly, but don't expect live games anytime soon. The NFL is making some much-needed tweaks to its subscription streaming video service, including support for game consoles and connected TV devices like Apple TV. The new service is called NFL Game Pass, and effectively replaces the Game Rewind service that the NFL has offered previously. It includes all 256 regular-season games and the playoffs “on-demand,” which is an NFL euphemism for “reruns.” Day games will appear on the service after the 4 p.m. Sunday games have wrapped up, while night games will show up immediately after their respective telecasts. The only live programming will be out-of-market pre-season games. Still, for serious football fans, the ability to watch previously-aired games could be worth something. Game Pass also includes full replays of every game since 2009, condensed reruns that shrink each game to about 30 minutes, additional “coaches film” camera angles, and an archive of Super Bowl matchups. So far, this should all sound pretty familiar to existing NFL Game Rewind subscribers. The big difference with Game Pass is its support for connected TV devices, including Apple TV, Xbox 360, and Xbox One. 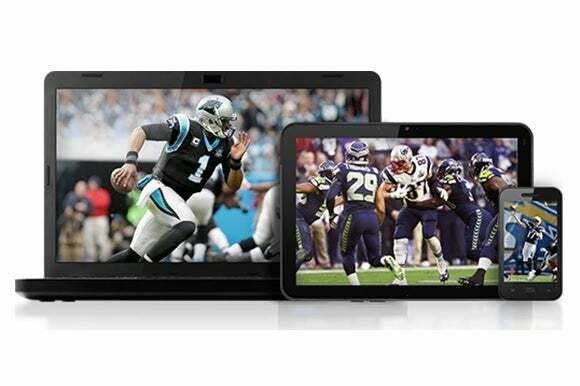 Mobile apps are available for iOS, Android, and Windows, and the NFL is working on desktop apps as well. There’s no word yet on pricing in the United States, though we’re guessing it’ll be similar to previous Game Rewind pricing, which ran from $30 for single-team packages to $70 for the full regular season, playoffs, and Super Bowl. The story behind the story: In overseas markets, Game Pass is an entirely different kind of service that offers live streaming games. But the nature of lucrative TV contracts means that won’t happen in the United States anytime soon. While DirecTV offers a streaming NFL package, it’s only available to people who physically cannot get satellite dish service. If you want to watch regular season games without an expensive cable package, your best legal options are either an over-the-air antenna and Sling TV (for ESPN’s Monday Night Football), or NFL Game Pass and a whole lot of patience.